The DeathAdder is going to feel quite a bit larger than the Air58 so please do check which size mice best suit your hands. 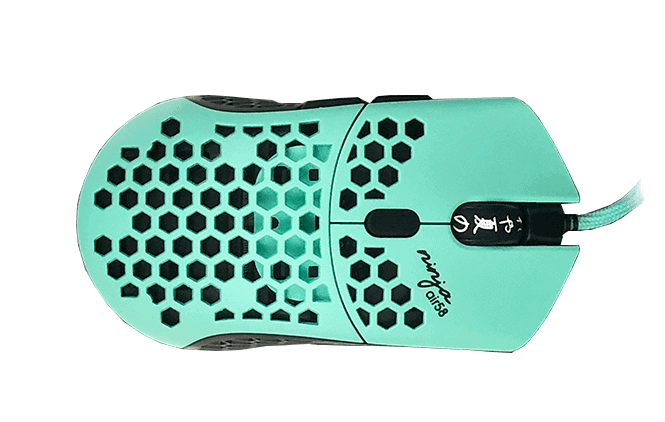 Shapewise, the DeathAdder Elite is a very popular and loved ergonomic shape, the Air58 has fans but I definitely think the DeathAdder has a more comfortable shape. The buttons are about a draw, both the Air58 and DeathAdder have good buttons that aren't lacking in any area. The sensors are also a draw, both have flawless sensors. The Air58 wins big on weight and cable. The Air58 is nearly half the weight of the DeathAdder with a lighter cable, the difference in night and day. The DeathAdder comes with software but I don't consider it a positive when it's Synapse. This choice will come down largely to size preferences.